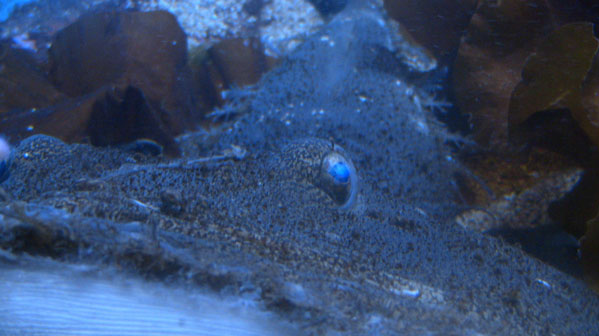 More eggs: Goosefish lays another egg veil! 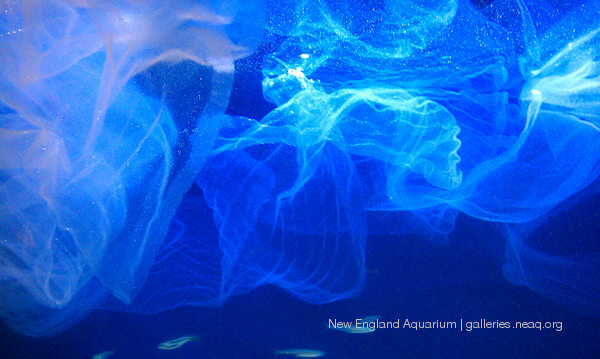 You may recall that our lovely goosefish usually lays an egg veil once a year. You can see pictures and video of this special event here, here and here. But it's once in a blue moon that she lays TWO egg veils in the year. This is just one of those times. The last time she laid an egg veil was in May. While one might expect this one to be a bit smaller, it's actually about the same size as the last one. So come visit the Aquarium this weekend and look for this exhibit on the third level. 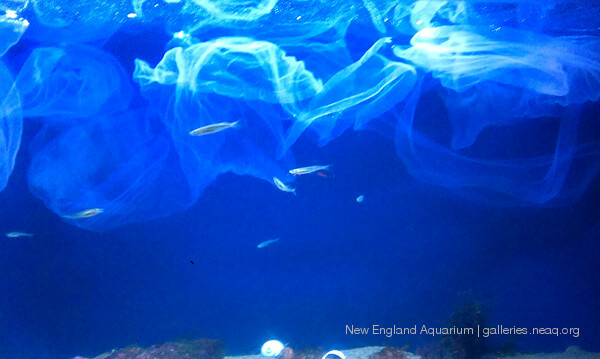 Take a moment to watch this fabric-like sheet sway and flow throughout the exhibit's gentle current. There's a good chance that you'll walk away being amazed and a little more relaxed. It's truly a beautiful sight. And don't forget to look for the goosefish! She'll probably be nestled into the gravel on the bottom of the tank. She might be fishing with her modified dorsal fin, trying to entice a fish into her enormous mouth. Or she might just be resting after all that hard work laying the egg veil.